Firefly hot body detectors from ProDetec indicate hot particles, sparks and flames in a process where the material is moving such as in pneumatic conveying ducts or chutes. Firefly hot body detectors are infrared-sensitive and measure radiated energy. They feature multi-zone detection and are extremely reliable. This unique principal of energy measurement confirms the risk of the ignition source. Firefly hot body detectors are equipped with the Firefly self diagnostic function. This means that internal sensitivities, humidity and temperature in the electronics are checked every minute. 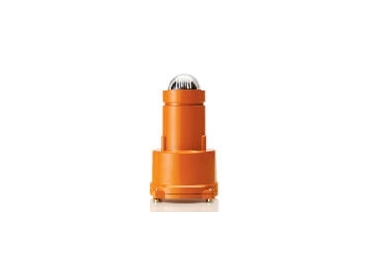 LD (from 130° C) - for protection of risk zones containing material very low ignition temperature. GD (from 400° C) - for protection of risk zones where material occurs in dust clouds. TD (from 250° C) - for protection of risk zones where material occurs in layers, e.g. storage silos.